Beautiful Pioneer Park in Brookings, South Dakota is home to South Dakota’s premier juried art festival. Over 200 artists from across the nation, representing 15 disciplines of art, grace Pioneer Park with original skilled and handcrafted works of art. Thirty eight gourmet and ethnic food booths satisfy every appetite. The Edibles and Naturals area has 28 artisans who produce gourmet packaged cottage foods and natural skin products. Historic and antique booths celebrate South Dakota’s heritage. A lively children’s area in the center of the park provides fun, educational activities. In addition to the great works of art, the festival has become known for the entertainers performing on the park's historic Band Shell and on side stages throughout the park. The Brookings Summer Arts Festival is a testimony to what a good idea and a lot of hard work can do. Each year a group of local volunteers plan an arts festival that surpasses the year before. Festival patrons are treated to a show that brings a wide assortment of art, food and entertainment to Pioneer Park. The stage was set in 1972 when a small group of people gathered over a cup of coffee and planned an all-city event. Events took place all over town and kicked off July 15, 1972 with a parade and opening ceremony. Fifteen craft and art booths were at Pioneer Park, while rock, antique, and coin shows were held elsewhere. Bus tours went to the Brookings County Historical Museum in Volga. A 4-H horse show, a grouping of band concerts and evening dances were also enjoyed by those who attended the first Brookings Summer Arts Festival. Nearly five decades later, the Festival now transforms Pioneer Park into an outdoor art gallery that showcases the wares of the best regional artists and skilled craft vendors. Although we have continued to grow and evolve since our beginnings, the committee still meets over cups of coffee to plan the annual festival and prove what a little hard work from a few dedicated volunteers can achieve. 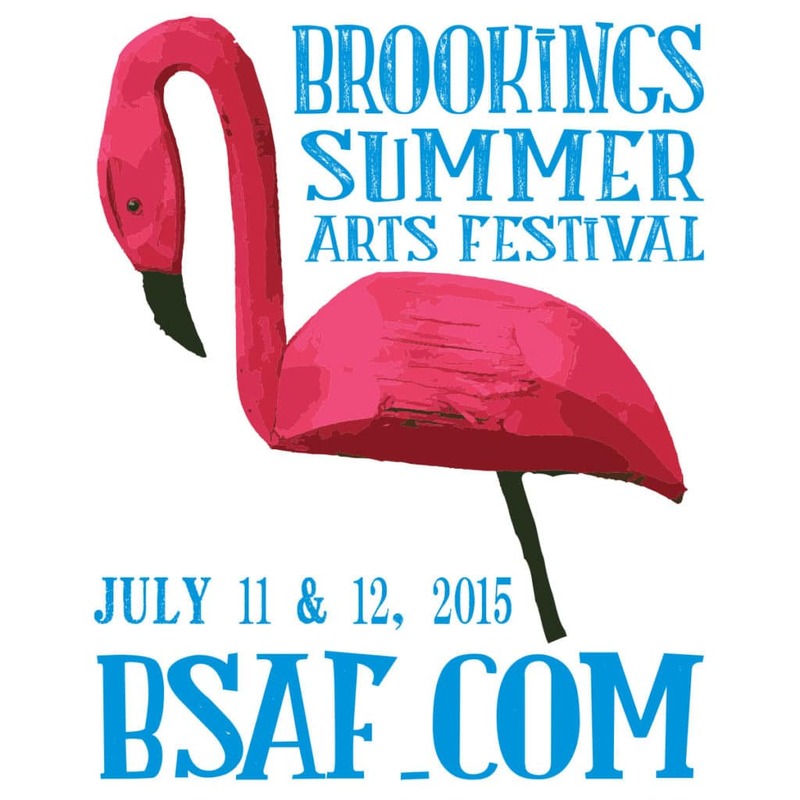 Coming from all walks of life, the committee members of the Brookings Summer Arts Festival all have one thing in common: the desire to create the finest arts festival in the state of South Dakota. Each year, the thirty to forty members come together to plan and design a weekend of art, food, and entertainment for the nearly seventy-five thousand people who attend the annual event each year. 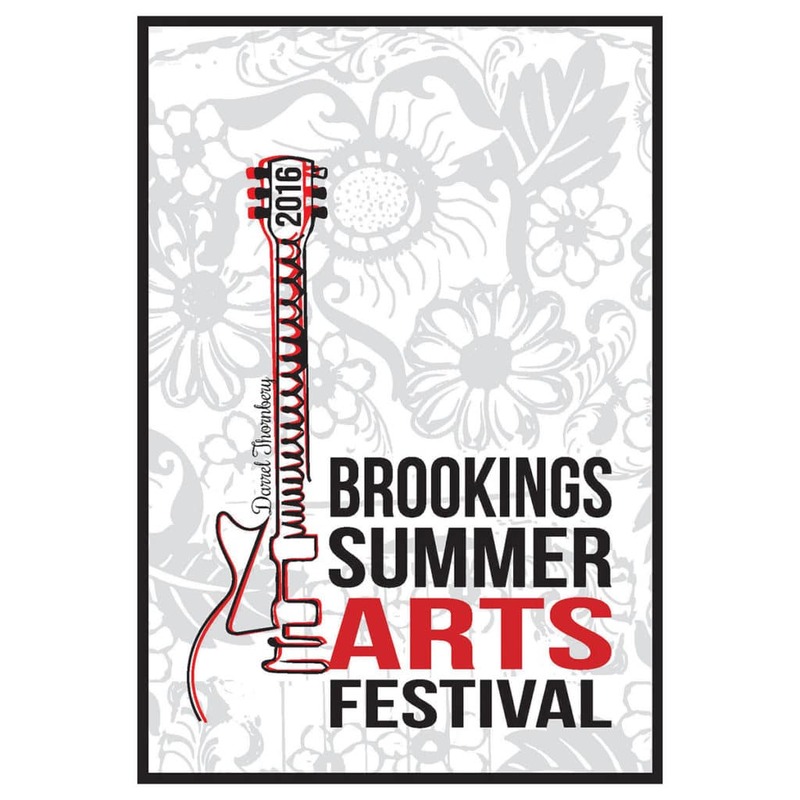 The Brookings Summer Arts Festival started with a group of citizens with an idea to put on an art festival and we are now the largest two-day arts festival in South Dakota. It takes a diverse group of volunteers to put the festival together and we could use your help. Members coordinate art and food booths, entertainment, children’s and antiques areas, parking, security, and so much more! Please contact us at generalinfo@bsaf.com or (605) 692-2787 with any questions and for meeting times. The BSAF Awards Committee selects three artists annually to honor. Two receive an Award of Excellence and one the Media Award. At the start of each year’s festival, the committee gathers together to canvas the festival vendors to select these recipients. The Awards Committee bestows two Award of Excellence ribbons to two artisans who show outstanding skill in his or her chosen media. These awards are based on overall quality of the artist’s work, and not on a particular piece. Criteria to judge work is based on originality, craftsmanship and skillful use of materials. The winners must create all of their work. The third award and ribbon is the Media Award. The Awards Committee chooses one piece of work from an artist the group feels best represents the spirit of the festival. The committee searches for a piece that is an original or “one-of-a-kind”. The selected artist will be asked for permission to use the artwork to create the next year’s BSAF logo. The Awards, Publicity, and Tee Shirt Committees create a flat art logo to be used on promotional materials such as tee-shirts, flags and banners. The artwork will also be on posters, programs, and newspaper and TV advertising distributed in a four state area. Richard Tucker started his art career at a young age, carving and whittling his own toys. In college, the Western artist, Charles M. Russel inspired Richard to develop his talent for the sculptures that he does today. Based in Custer, SD for many years, Richard and his wife have moved to Sun City West, AZ. BSAF advertises in the regional four state area through radio, television, and print mediums.